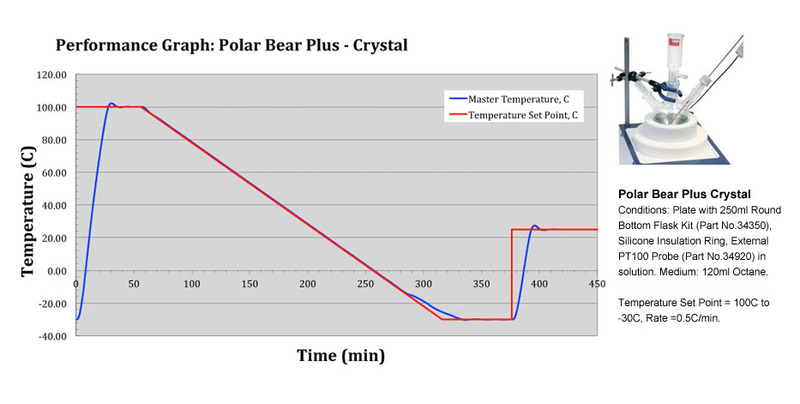 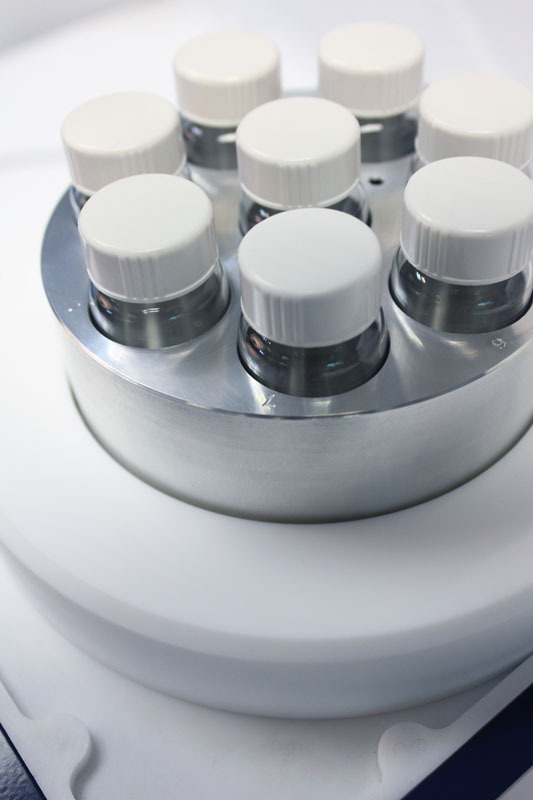 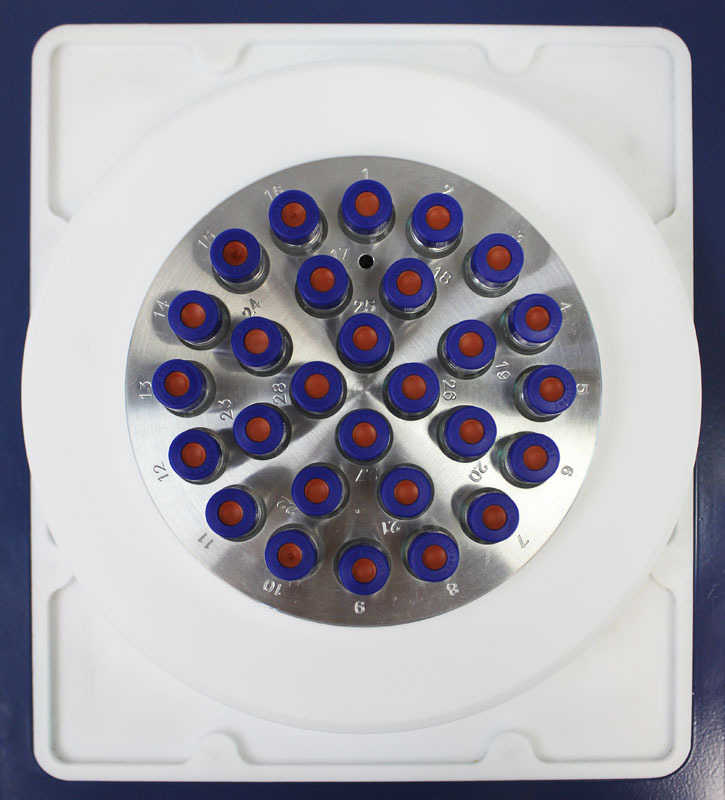 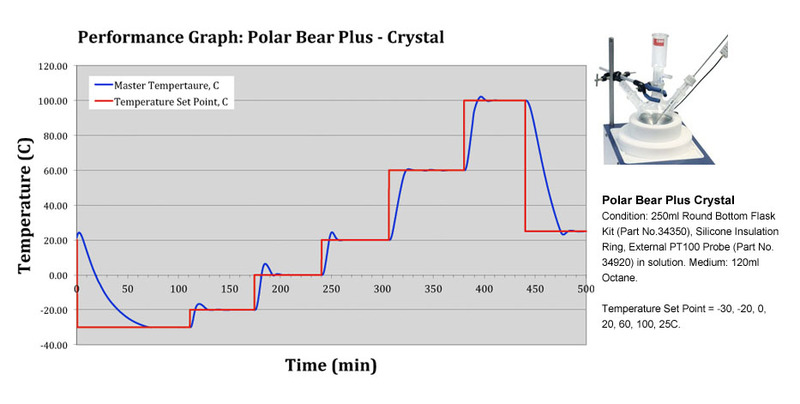 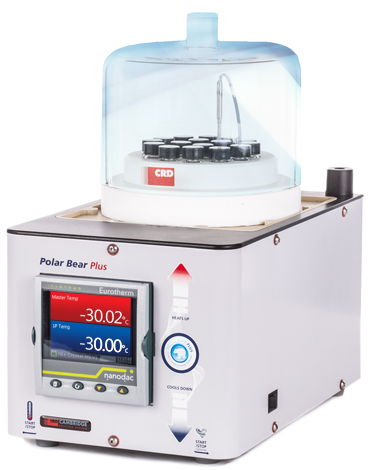 Sophisticated temperature control is the key to the Polar Bear Plus Crystal, developed with input from the chemists at SAFC Pharmorphix®. 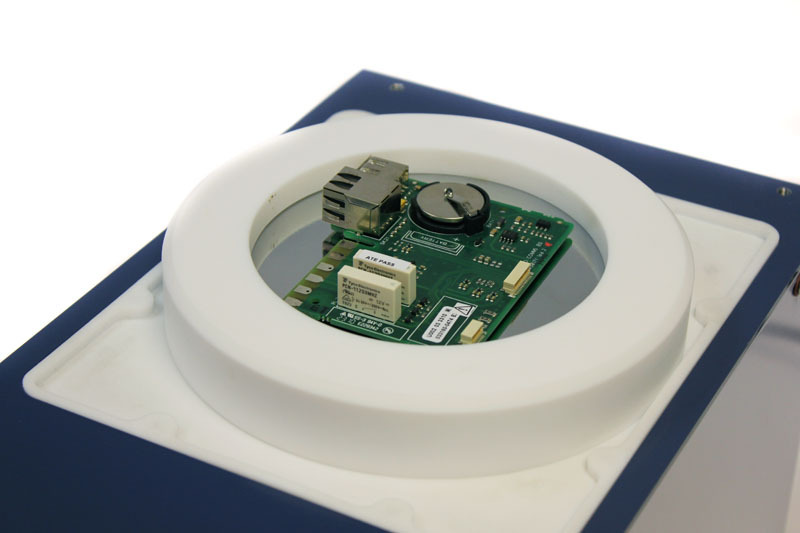 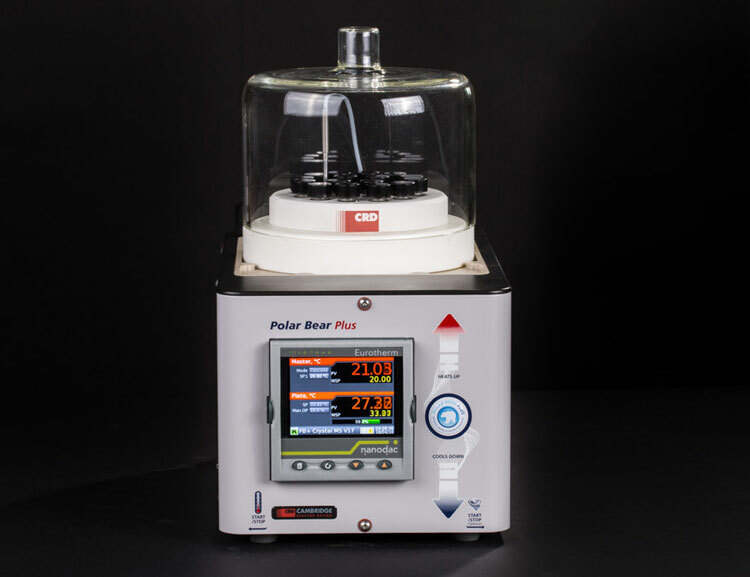 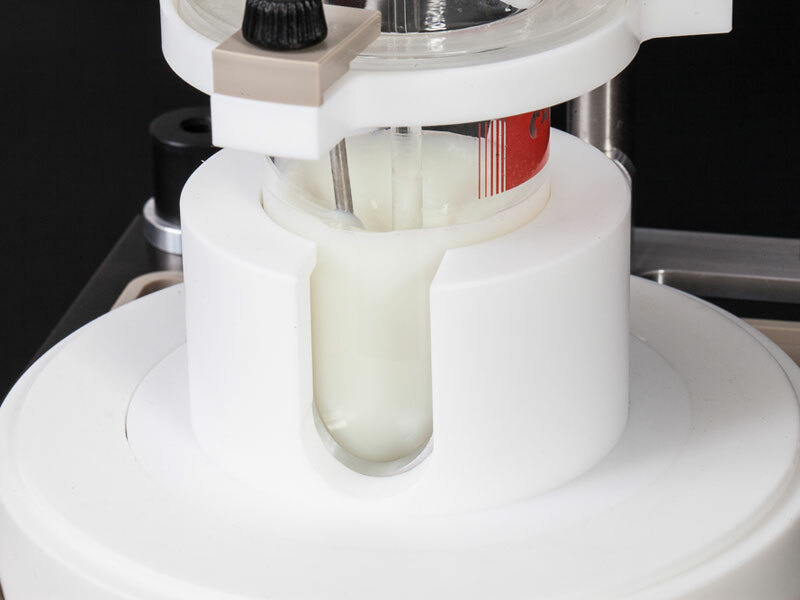 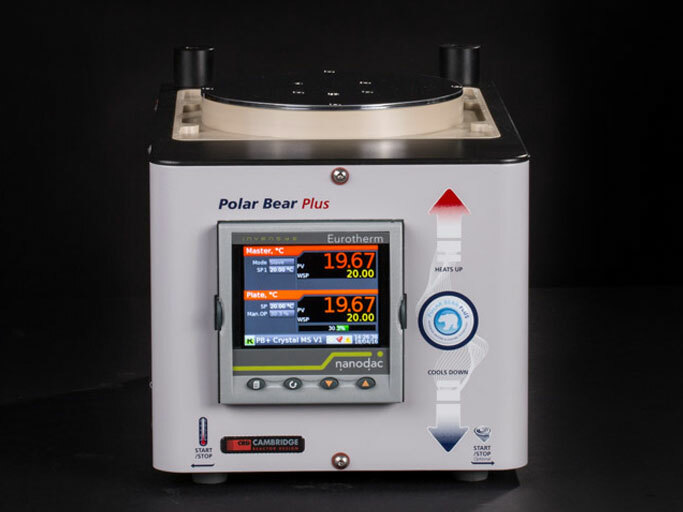 With fully programmable temperature profiling and cycling, data collection, and a flexible plate format, makes the Polar Bear Plus Crystal the first choice for a broad range of laboratory applications. 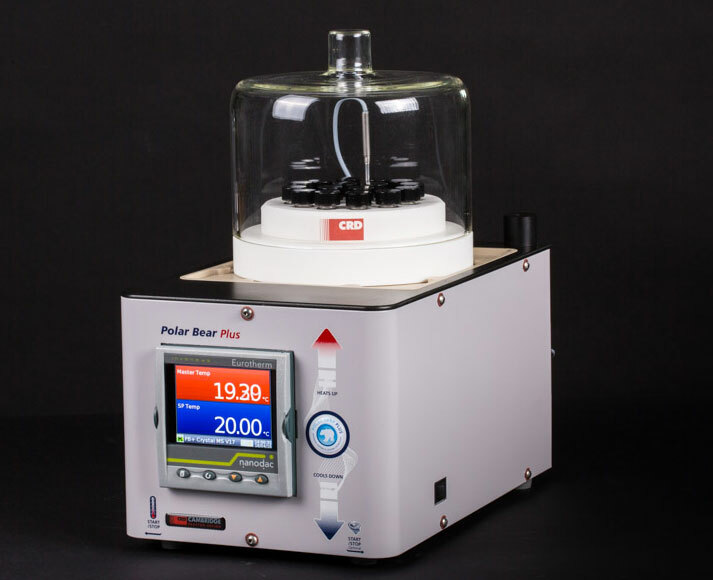 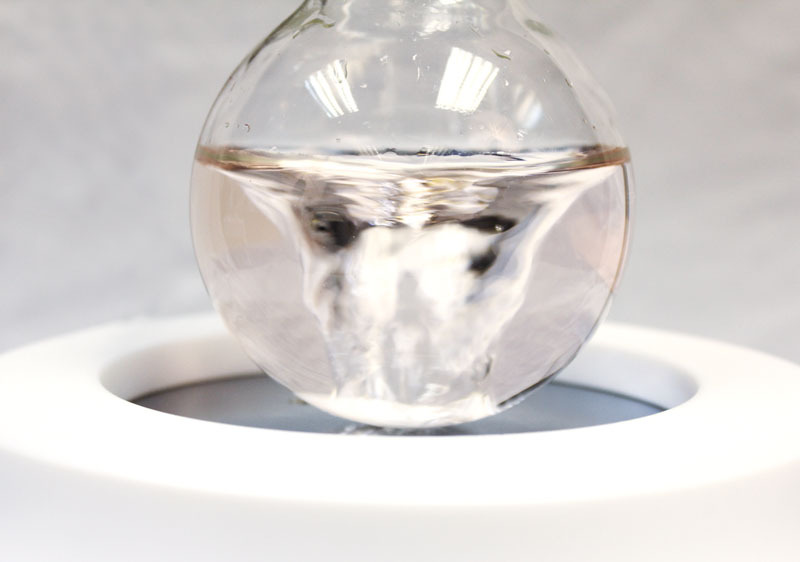 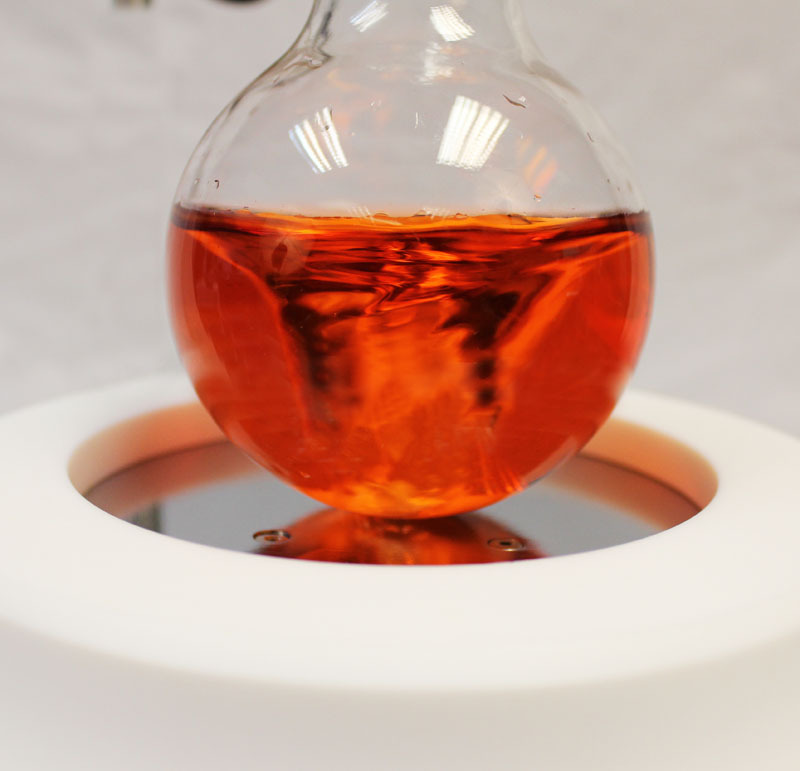 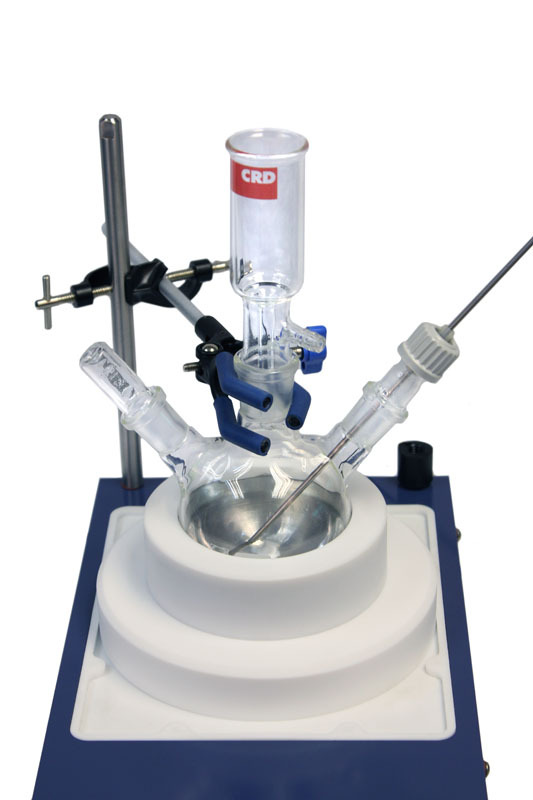 Changing reaction parameters is simple and takes a matter of seconds. 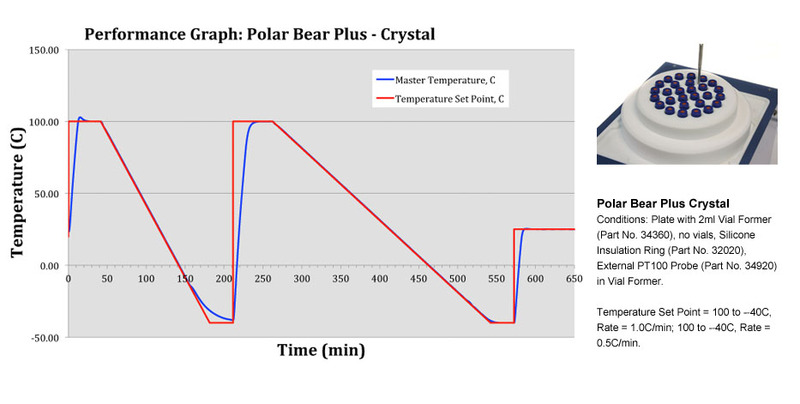 Data and trends are displayed on the screen instantaneously. 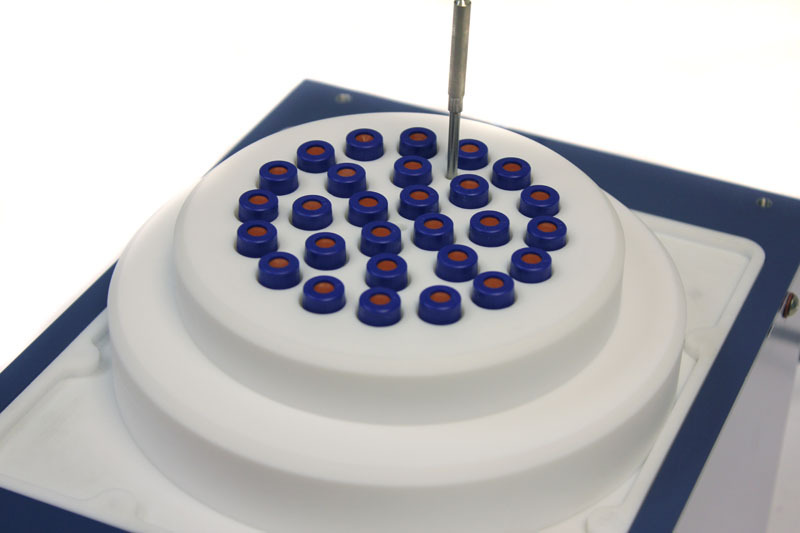 A sequence of consecutive tasks can be programmed and run unattended and safely. 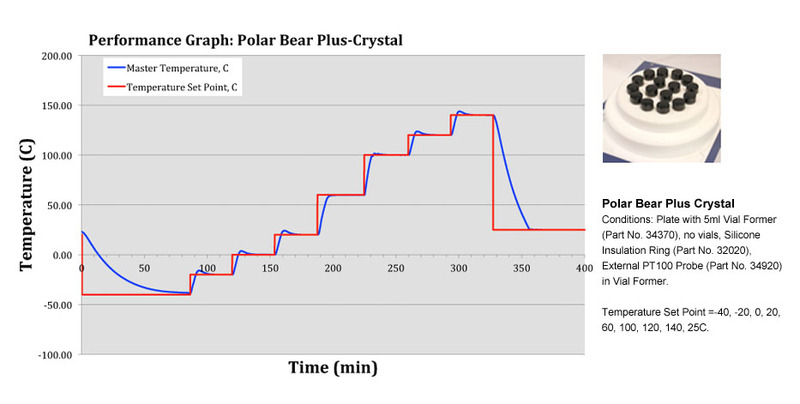 All of the data is recorded, and may be easily exported into Excel. 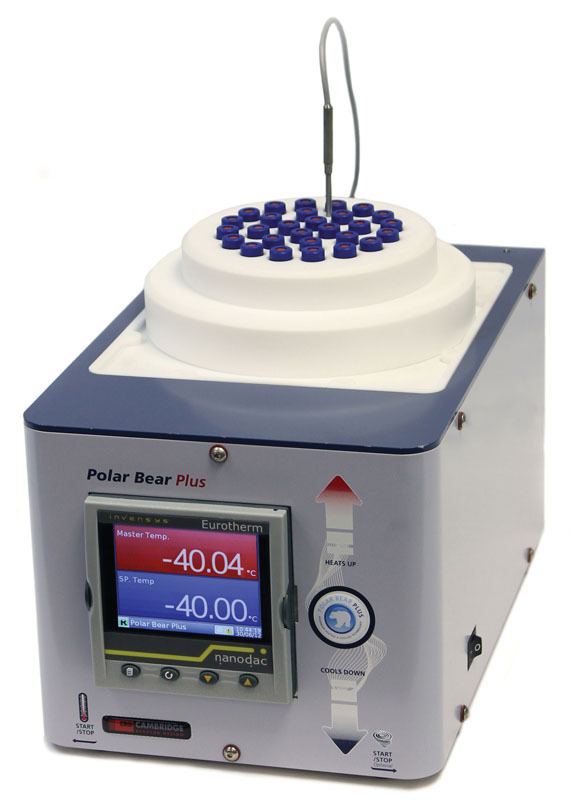 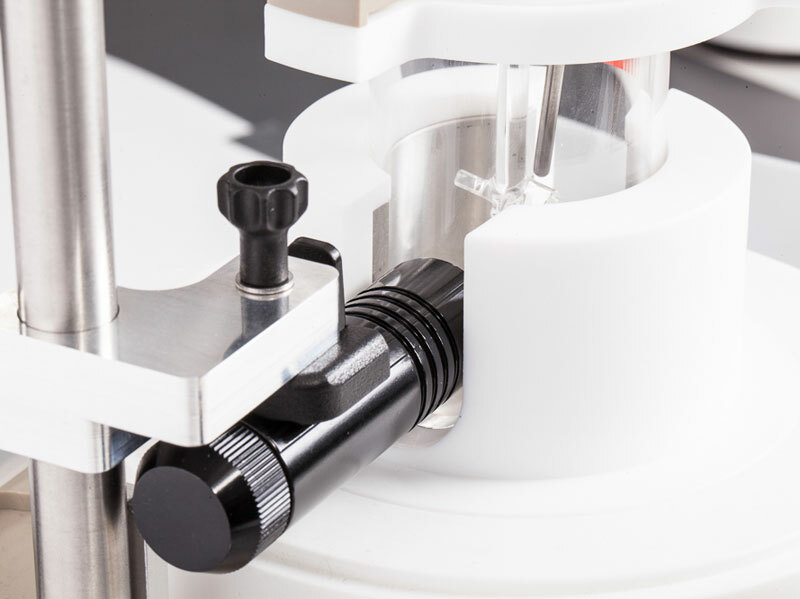 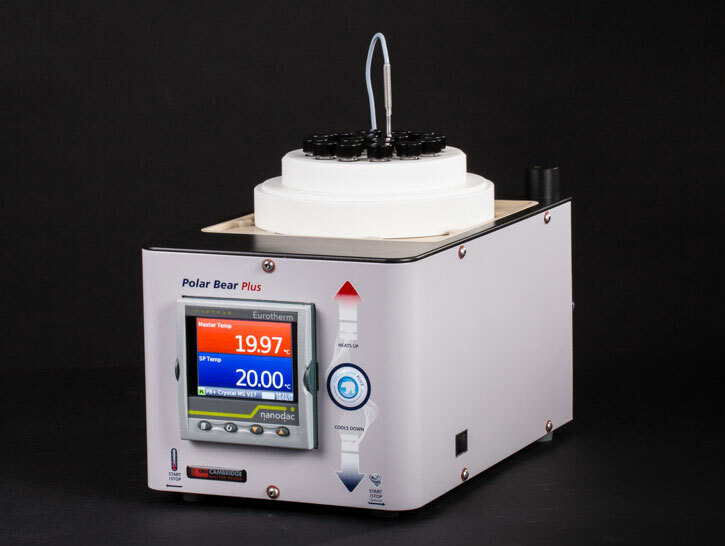 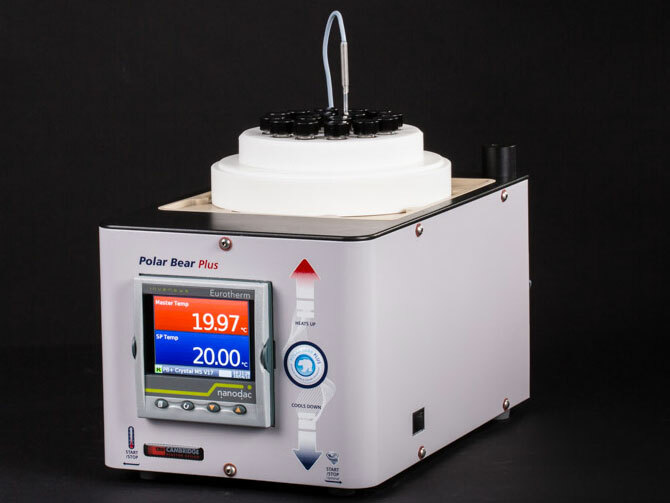 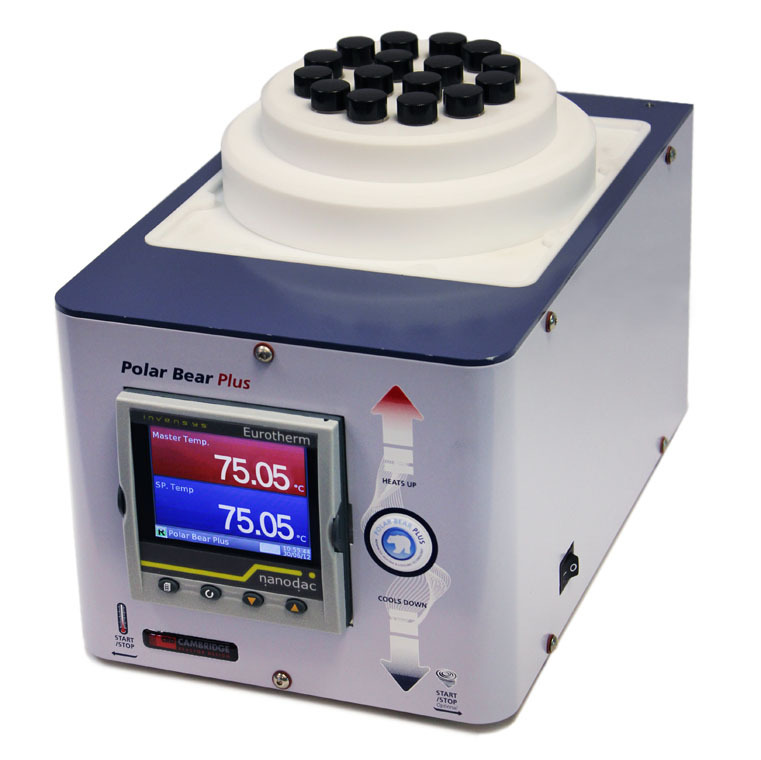 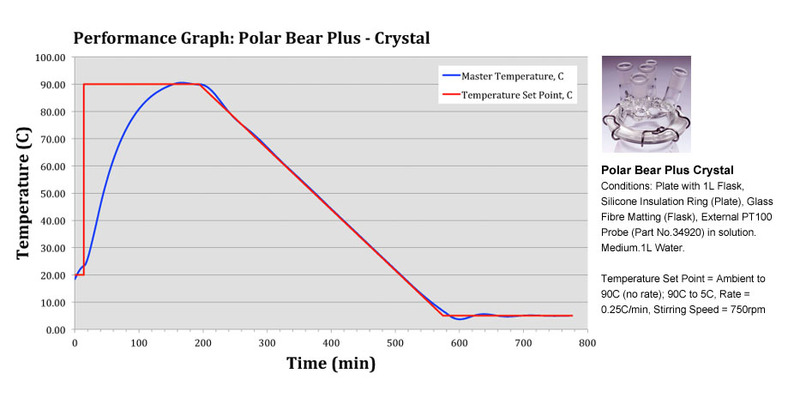 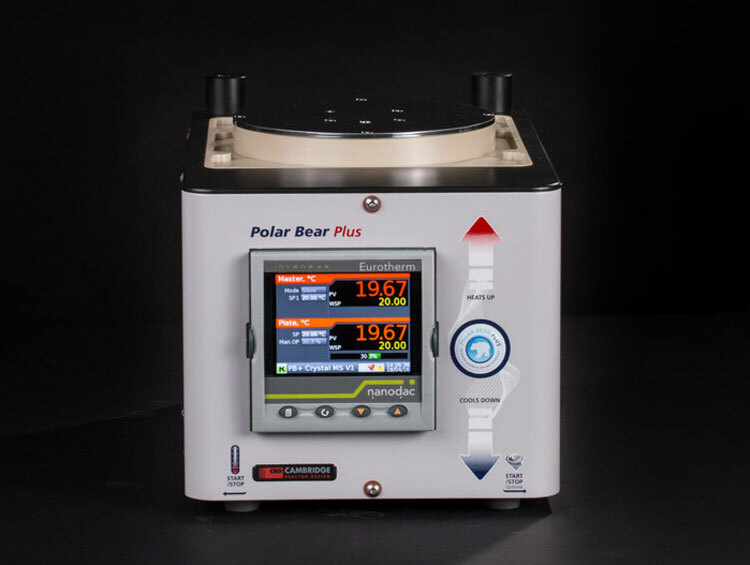 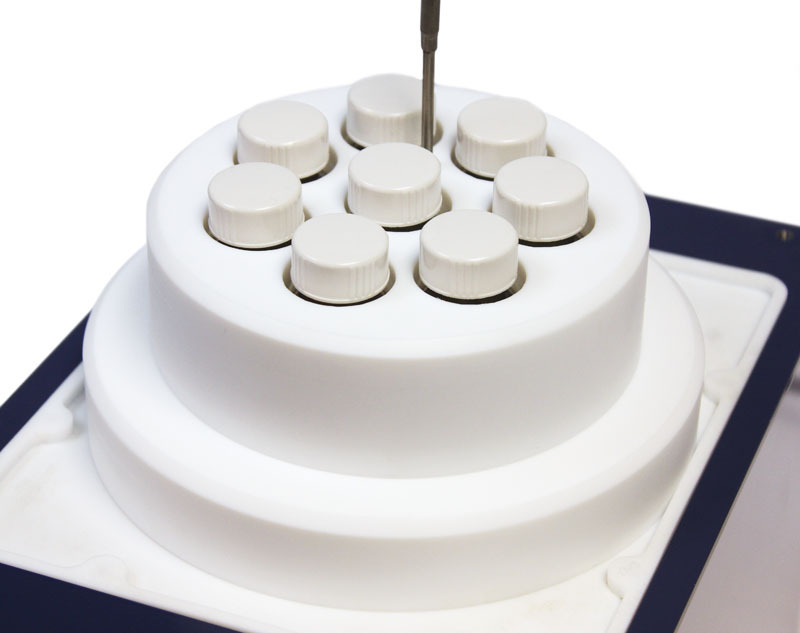 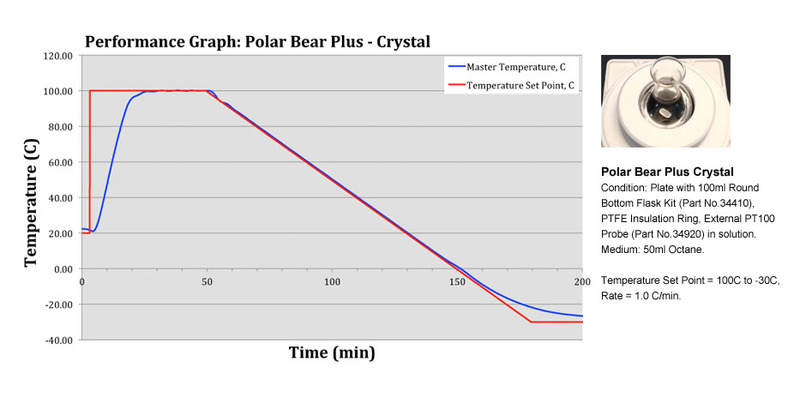 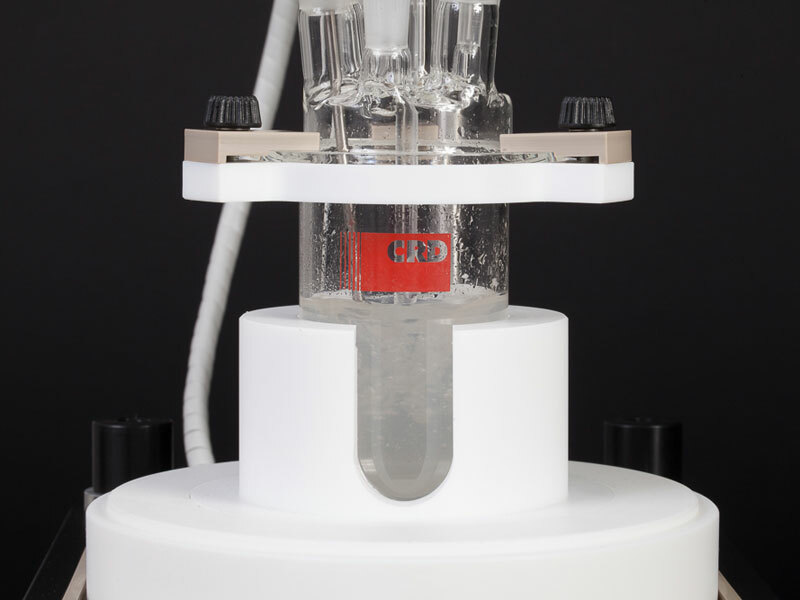 The ability to deliver accurate and precise temperature control makes the Polar Bear Plus Crystal the perfect system for carrying out crystallisation studies. 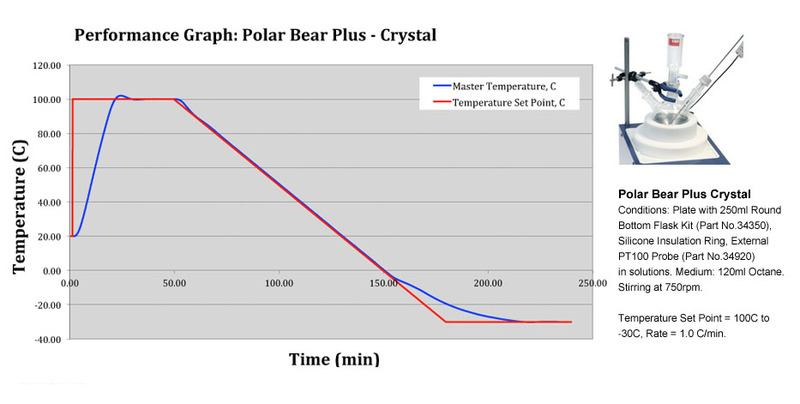 Temperature gradients for heating and cooling can be set on demand. 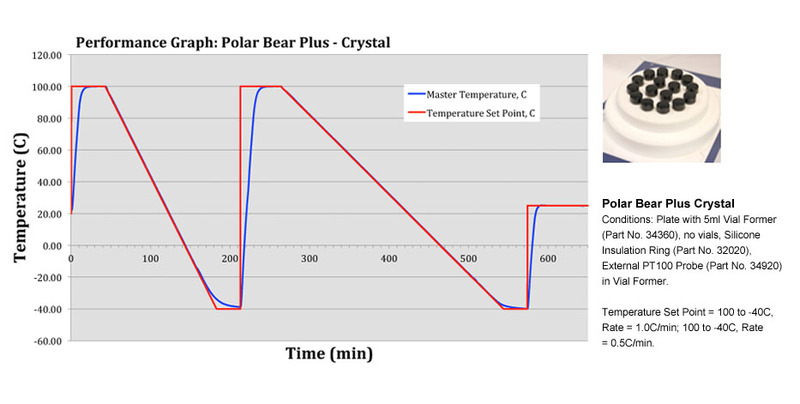 For more complex work, full temperature profiling and cycling can be programmed to run either from the unit or an attached PC. 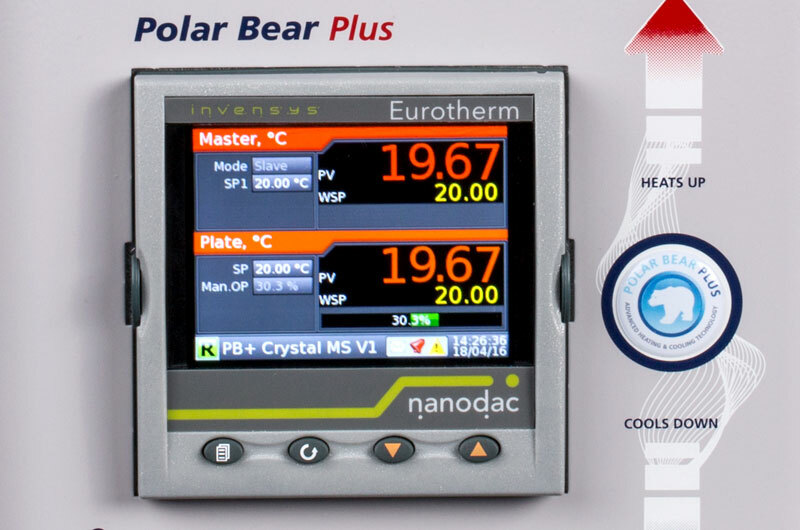 The Polar Bear Plus Crystal is designed to deliver accuracy & control of sophisticated heating or cooling temperature profiles with up to 26 programmable steps. 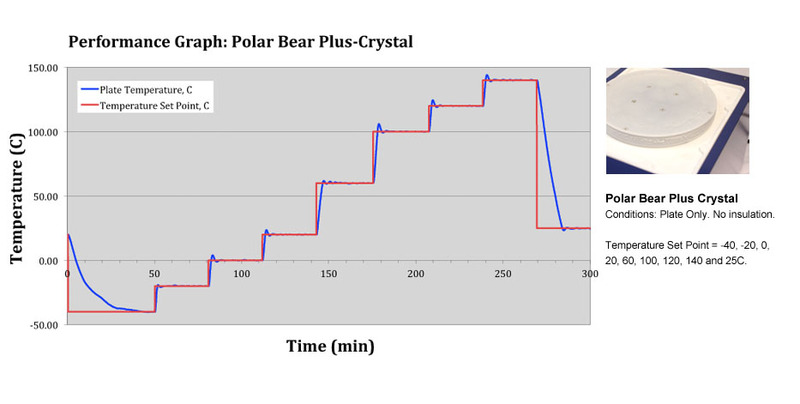 The links below display graphs tracking performance in a number of example scenarios*. 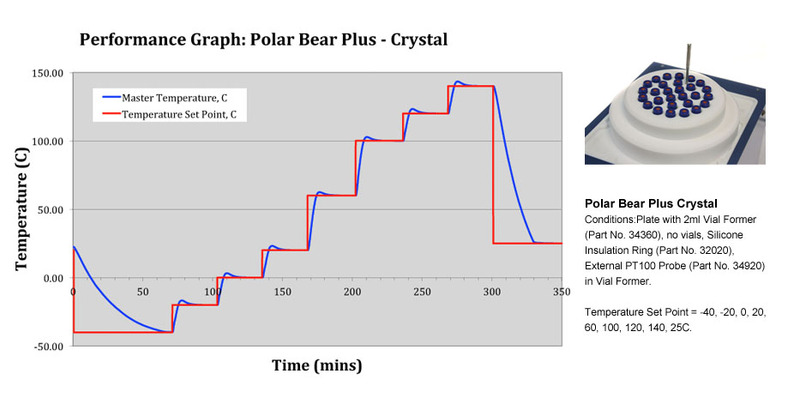 *Actual performance achieved will depend on the volumes and identity of materials, as well as on the efficiency of the insulation used.